Removing traces of glue left behind when vinyl has been removed from a sign or vehicle has always been a problem, not anymore! 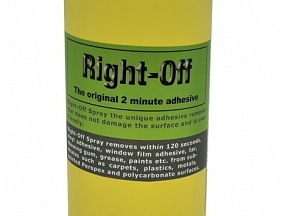 This very low solvent product ‘Rite-Off’ can be used on almost any surface without causing damage. Simply spray directly onto the glue, wait for 2 minutes and wipe it off with a clean cloth. 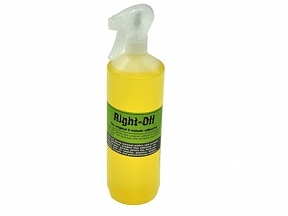 Before applying new vinyl or signage we strongly recommend removing any residue left behind with Application Fluid.